*Compact and exquisite design for convenience carry.The silicone cases ensure waterproof and Dust-proof, level up to IPX65, can be used under harsh environment. 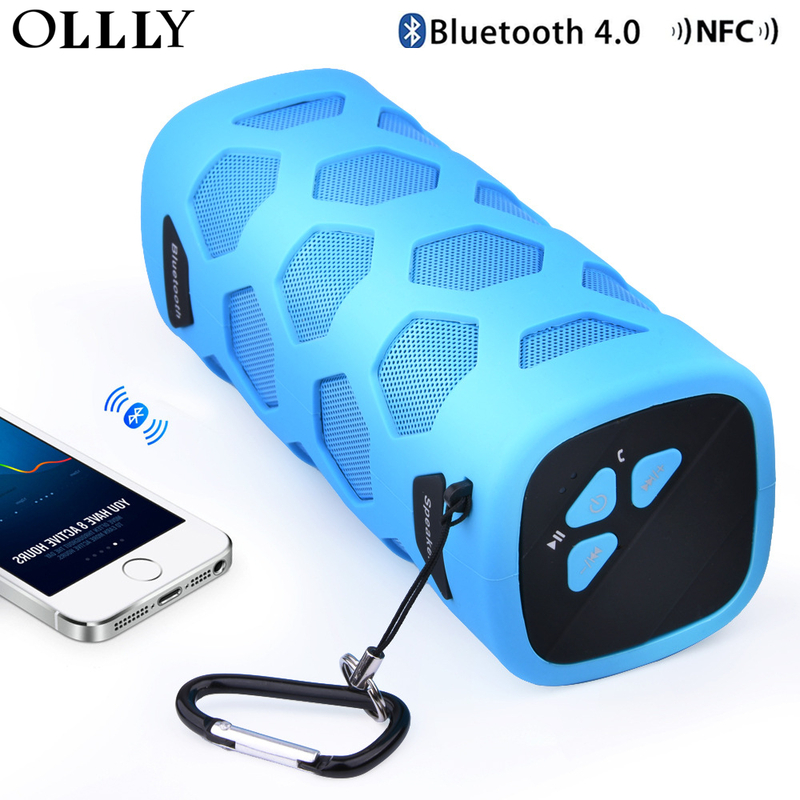 *Built-in Rechargeable 3.7V 4000mAh polymer lithium battery provides extend playback, enable you enjoy the music for up to 15 hours with one single full charge. *Ideal companion for Office, Car, Home, Barth-room and Hiking, Traveling, BMX, Camping, etc..
*Compatible with a variety of electronic devices including iPhone, iPad, iPod, Mac-book, Samsung, Google Nexus, Android Tablets and other Bluetooth enable devices with standard Micro USB port. *Simple operation, easily pairing, convenience Touch and Connection. More Sharing and Happy. *Built-in microphone and speakerphone, you can enjoy hand-free calling when you don’t want stop the hand work. 1.Blue Indicator Light: On Bluetooth working status, flash fast when pairing, after pairing successful, flash slow, as well as Pause. Line working status, the LED indicator light flashed slowly. 2.Red Indicator Light: When you charge the Bluetooth speaker, the Red LED Light will flash till it’s full charged, then, it will keep Red.